A creative at heart, Samira was born in Argentina more than three decades ago. She holds a PhD in Chemistry, is a mother of two, and can't play a musical instrument. She fosters a passion for visual expression and thinks beauty benefits from simplicity. You can find her dreaming of one day living in New Zealand and building a pocket neighborhood from scratch. Samira believes in the power of community and the destructiveness of fear. Her inspiration and fire to empower women comes from her sister, creative director Joy Thigpen, and photographer Sue Bryce. Her favorite color is orange and she could eat sushi, ice cream, and drink grapefruit juice every day, for the rest of her life. 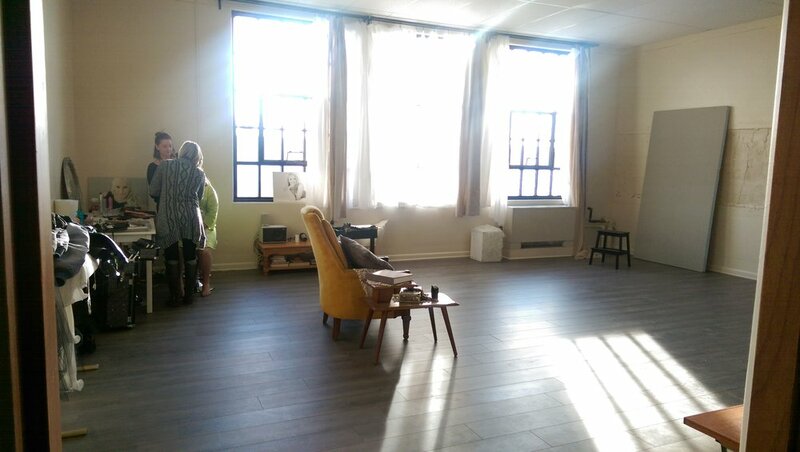 Our boutique Studio Located in the heart of the city, at the historic Laramie Plains Civic Center. Lightfolly Portraits is a Laramie, WY based portrait studio specializing in contemporary portraits of women, including glamour, personal branding, and mother&daughter. Catering to Laramie, Cheyenne, Fort Collins and beyond, our style is simple and vintage inspired. We started as a dream in a living room, when Samira couldn't keep her creative fever from bursting out the seams of her everyday "momma life". She bought a camera and started taking classes and photographing people, and quickly realized that her passion was empowering women to exist in photos for themselves and for future generations. Today, our company has grown to a group of women who believe in the power of females and dedicate their artistic view to creating contemporary portraits of women at different stages of their lives. Telling you what equipment I use would be as relevant as a chef telling you which oven she used to cook your meal.